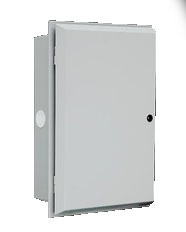 Ritherdon feeder pillars, cabinets, enclosures and meter boxes are used to provide low voltage power control, monitoring and distribution - this includes utilities (gas, water, electricity), marine and offshore, street lighting and construction industry applications. Ritherdon stainless steel enclosures can be supplied pre-wired to suit individual customer specification. 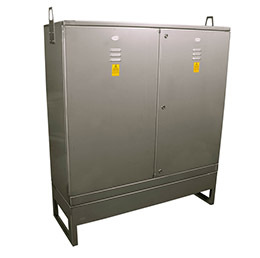 Ritherdon enclosures are available in grades 4003, 304 and 316 stainless steel with optional powder coating for corrosion protection in industrial, urban and rural environments. Feeder Pillars - 6 feeder pillars available in various sizes ranging from 900mm x 150mm x 150mm up to 1060mm x 460mm x 230mm. 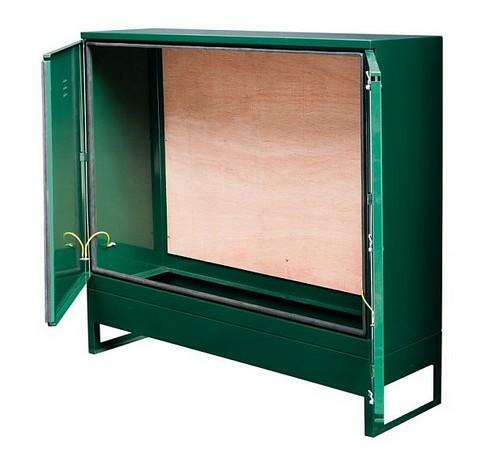 Multiple fixings and colours available - feeder pillars are supplied with a full width external grade plywood backboard for the fitting of electrical termination equipment. Service feeder pillars and BT communication pillars protect and house remote monitoring equipment. 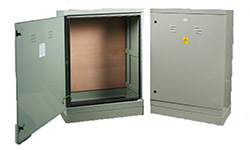 Passive Safety Cabinets - A crash-tested electrical enclosure that is passive safe to BS EN12767. This test defines the conditions of a passive safety crash test including a 100kph impact test into the roadside cabinet. External Enclosure Boxes - made of stainless steel and built to flexible modular design to protect electrical and electronic equipment. Enclosures made from 304 grade stainless steel for street lighting, highways and industrial installation. High Resistance To Corrosion - stainless steel enclosures resist oxidation and rusting for outdoor and industrial power distribution applications. Closer Manufacturing Tolerances - stainless steel enclosures are aesthetically acceptable with excellent sealing properties against weather and dust. Powder Coating - stainless steel enclosures can be powder coated to provide a smoother finish over galvanised feeder pillars. Thinner Gauge Metal - stainless steel enclosures are lighter, enabling safer handling and easier installation without compromising the integrity of the product.